Nashville, TN -- The Larry Stephenson Band’s single, “Pull Your Savior In” is #1 on this month’s Singing News Magazine Top 10 Bluegrass Song Chart. The song was written by Stephenson and is the title track of the group’s all-gospel album that was recently honored with the 2015 SPBGMA Album of the Year Award by the Society for the Preservation of Bluegrass Music of America. The Larry Stephenson Band is proud to announce their new release of Pull Your Savior In on Whysper Dream Music. The album is available for digital sale at iTunes, Amazon,and CD Baby. Physical copies include a special Bonus Track and can be purchased at larrystephensonband.com. Hughesville, MD -- The Sons of the American Legion and Jay Armsworthy are gearing up for the next season of Bluegrass music. The music starts back up at the American Legion Post #238 in Hughesville, Maryland. 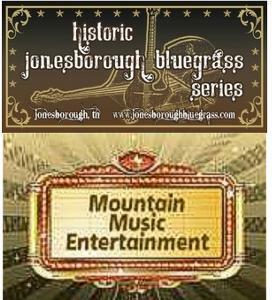 The first show will take place on Sunday November 11, 2012 with the 2012 SPBGMA "Mandolin Player of the Year", Larry Stephenson and his band. The Award Winning, Compass Records recording artist, Larry Stephenson is regarded as one of Bluegrass music’s finest high lead and tenor vocalist.